What QuickBase Triggers and Actions are Supported? New Record - Triggers when a new record is created. Update Record - Updates a record in a Quick Base table. Create Record - Creates a new record in a Quick Base table. Delete Record - Deletes a record in a Quick Base table. NOTE: Quickbooks restricts API access to users on their Premier plan and higher. 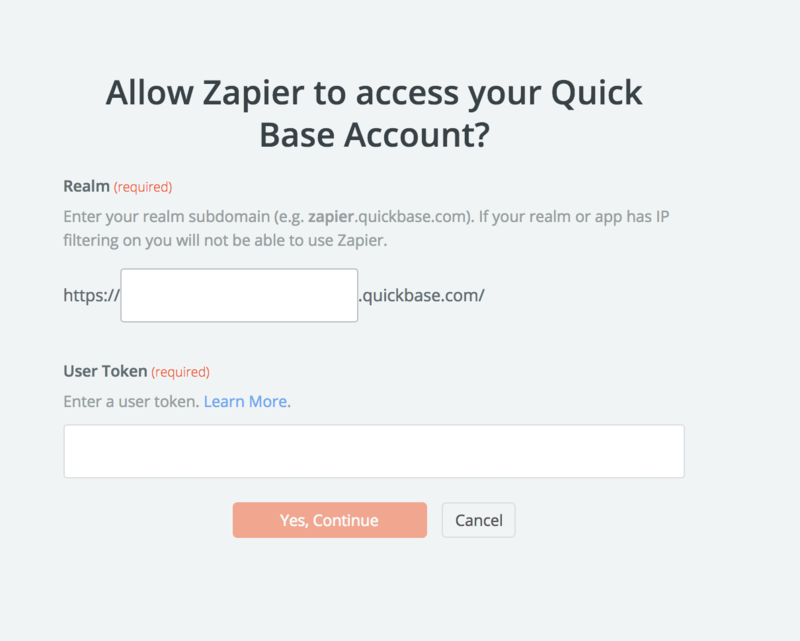 Users on Quickbase's Essential plan will not be able to use it with Zapier. 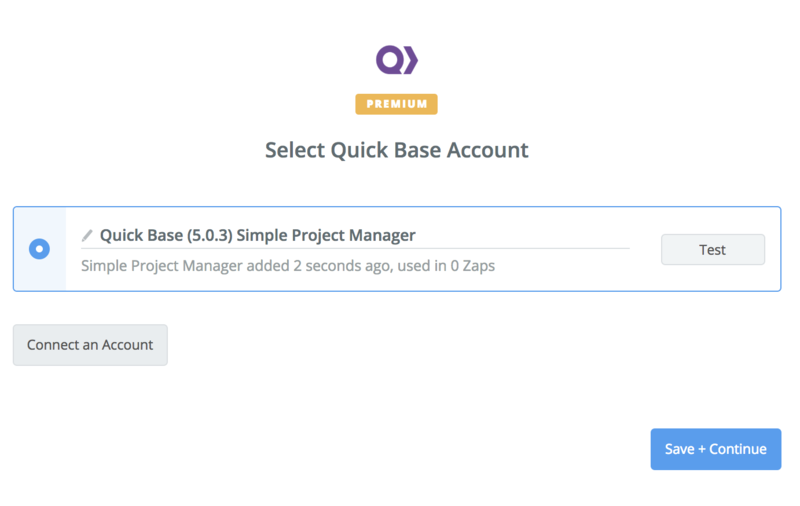 When you start creating a QuickBase Zap, you will be asked to connect your QuickBase account. Next, you'll be asked to enter your QuickBase Realm and User Token. On the user dropdown on the global bar, choose "My preferences". Click the "New user token" button. In the "Basics" section, enter a Name and a Description for your token. In the "Assign token to apps" section, click the dropdown arrows to select which apps you want to assign this token to. You can assign a token to as many as 20 apps. 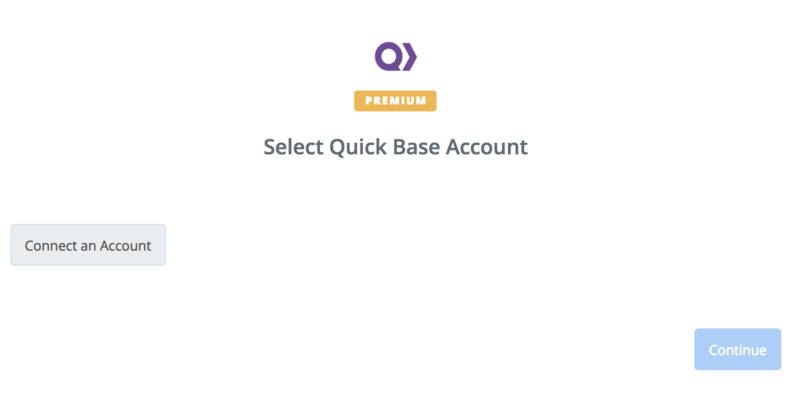 If all steps were successful your QuickBase account will now be successfully connected. 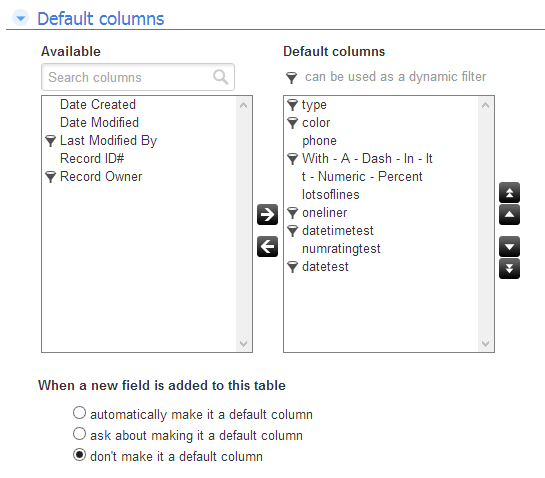 In the default report settings, there is a section where you can select which columns should be defaults. The columns in the right box (Default Columns) are the ones that Zapier will display. Don't forget to click save when you make changes! If you're using the New Row action and some of your data isn't being written to the row, check the name of the field. If your field name has a number in it (ex. 1_Last_Name), Quickbase will silently reject the data sent to that field. To fix, change the name of the field to not include a number (ex. Last_Name).